Golden Eagle and Ferruginous Hawk Population Studies /Hawks Aloft Inc.
Hawks Aloft has been surveying and researching Golden Eagle and Ferruginous Hawk populations throughout northern half of New Mexico for over 15 years, although not all areas have received continuous monitoring. These two large raptor species are declining in some Western states and, as human activity increases—particularly industries like as mineral, oil, and resource extraction—in their traditional breeding regions, it is important to monitor their population trends and reproductive success. Ferruginous Hawk is the largest of the buteo species in Western North America. 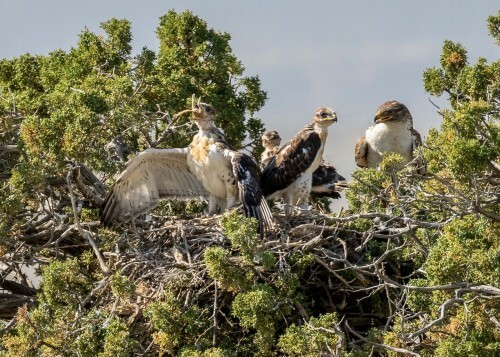 Favoring grasslands, shrub-steppe and semi-desert terrain, these versatile hawks are famously aloof and tend to withdraw from human activity, potentially causing nest abandonment or reduced productivity. 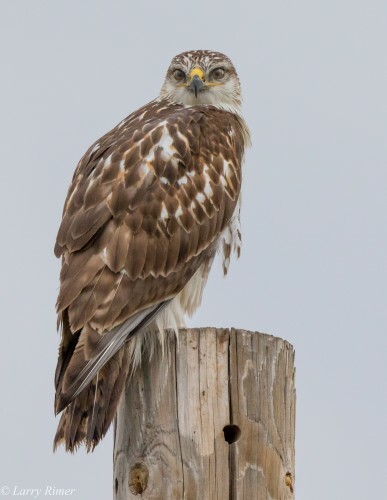 Ferruginous Hawks are listed as a sensitive species by the Bureau of Land Management and a species of concern by the Nature Conservancy. Due to the fact that this species is transient in response to human disturbance and prey availability, expansive surveys in cooperation government agencies, spanning both private and federal lands, offer a large scale perspective that is important in order to accurately gauge population and ensure that land managers can make effective decisions that protect this species in their resource area. Hawks Aloft has been measuring distribution, density and productivity of Golden Eagles in New Mexico since 1998. These long-term studies span large areas and take particular note of the impact of oil and gas development, particularly in relation to their noise impacts. 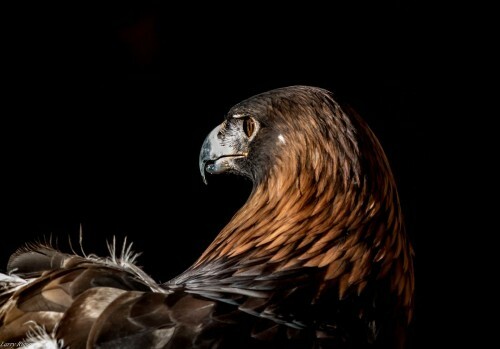 Past studies measured the noise output of compressor and air exchangers in close proximity to nesting Golden Eagles, and interpreted their impacts on breeding success.